For the second consecutive year, the NHLPA has sent a player representative to Haiti as part of its Hockey for Haiti initiative, which was started last year in conjunction with World Vision Canada to help re-build the Grace Children's Hospital. P.K. 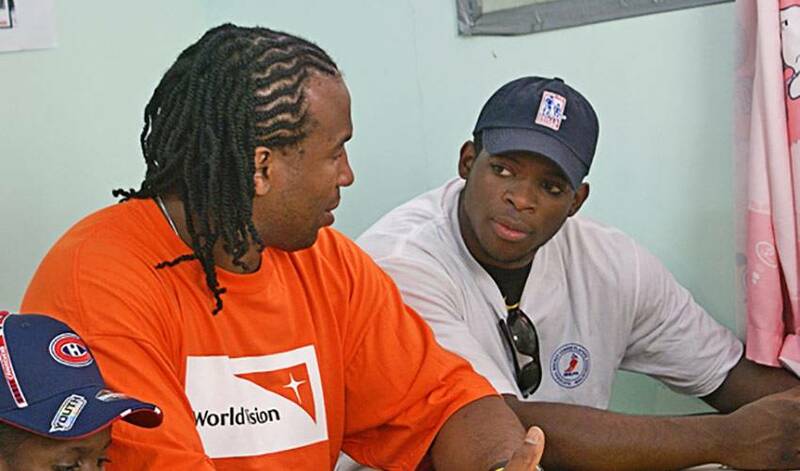 Subban, the young and dynamic player for the Montreal Canadiens joined former player, Georges Laraque and representatives from World Vision Canada on the trip which concluded on Thursday. The goodwill trip allowed Subban and the group to visit the hospital, examine the state of the re-construction, and get a chance to interact with the children and their parents who are directly impacted by the care provided there. Following its extensive damage after the January '10 earthquake that devastated the country, the hospital in Port au Prince – which is a leading treatment facility for children with HIV, tuberculosis and other serious diseases - needed a significant amount of re-construction in order to be fully operational again. Together, the NHLPA and World Vision Canada have been able to raise more than $1.3 million to assist in the rebuild of the hospital. Subban, one of hockey's most popular young players, is known for his exciting style of play and a youthful personality that shines through both on and off the ice. After a long season that saw him emerge as one of the best young-stars in the game, the 22-year-old was willing to give up part of his offseason to go to Haiti, all too happy to play a role in something that is so positive for the tiny island nation. Subban spent two days at Grace Children's Hospital, meeting with the patients there, their families and the hospital staff. A ball hockey game with Laraque and some of the children at the hospital was on the agenda following his NHLPA.com interview, as well as more touring of the hospital to get a first-hand look at the work being done. The impact of the trip on Subban is clear, who may have taken as much away from it as he gave. Subban was asked about the moment he realized the level of damage the earthquake brought to Haiti, and his response was immediate, in more ways than one. 18 months after the earthquake hit the island, the aftermath is still in the process of being dealt with. The Grace Children's Hospital is just one small part of the total rebuild, but is receiving a full commitment from Hockey for Haiti, the NHLPA and World Vision Canada, to accomplish that goal.